After rolling out the Android 8.0 Oreo update for V30 devices in South Korea, LG begins the beta testing in the US. 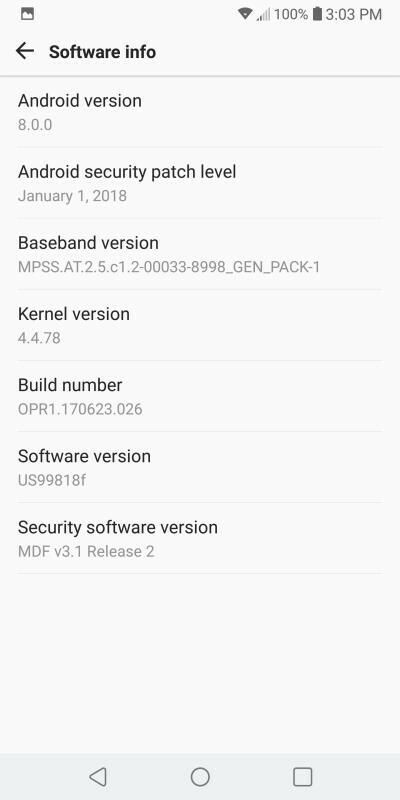 According to XDA forum, the US unlocked LG V30 owners start receiving the most anticipated Android update beta, bearing the Build number, OPR1.170623.026. The update comes with the latest Android Security patch of January month. It is still unknown how many US users are participating in the Oreo beta program, but we think the beta is available for very limited number of consumers. The international unlocked V30 owners are yet to receive the update. Most likely, the US version of unlocked V30 devices will get the update sooner than international unlocked editions. The update contains all standard features of Android Oreo and some exclusive optimizations from LG. The Picture in Picture mode, Notification Dots, Notification channels, Battery saving through App background limits and significant UI changes are some features of the Oreo Beta. Based on the recommendations received from the Beta testers in the US, LG will adjust the final version of the update for consumers. In South Korea, LG introduced the public beta program in late-November and initiated the rollout of final build of Oreo on December 26th. So it took about a month for LG to shape out the final version. So in the US, unlocked LG V30 devices probably get the final version of Oreo in February. The official rollout dates of Android Oreo for the US LG V30 devices will be revealed in coming days.